Esh Group Eagles Newcastle will take a double-digit lead to Bristol in their BBL Play-Offs Quarter-Final tie. 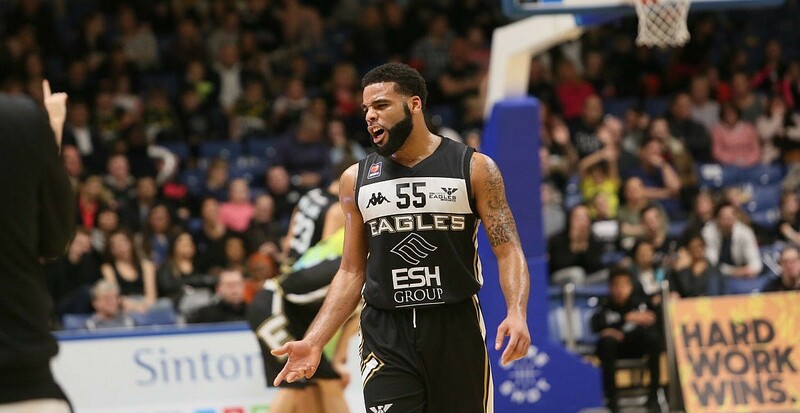 Esh Group Eagles Newcastle continued their dominance over Bristol Flyers at Sport Central with a 97-86 victory, in the first leg of the BBL Play-Offs Quarter-Finals. Although still facing a double-digit deficit, the Flyers were able to reduce the Eagles’ advantage from 18 points to just 11 by the time the final buzzer sounded. Turning point – After a close first half, the Eagles blew the game wide open in the third quarter – outscoring the Flyers 25-15 to take control of the contest. Key stat – The hosts found joy in the paint, pouring in 52 points under the basket and shooting 63% inside the arc. Game hero(es) – Darius Defoe scored an efficient 25 points, while Saah Nimley (19 points, 12 assists) and Zarko Jukic (18 points, 10 rebounds) both contributed double-doubles.